Belle Terre is a 46-unit development of new affordable senior rental housing in downtown Lafayette. The development includes one building with a two-story element along Mt. 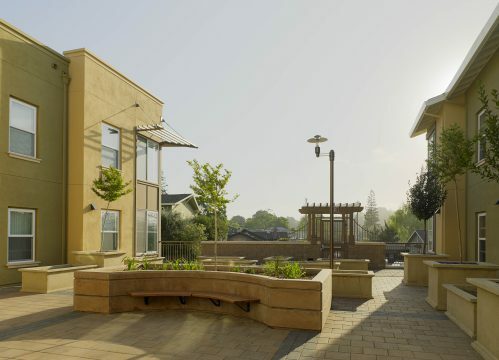 Diablo Boulevard that steps up to three-stories. 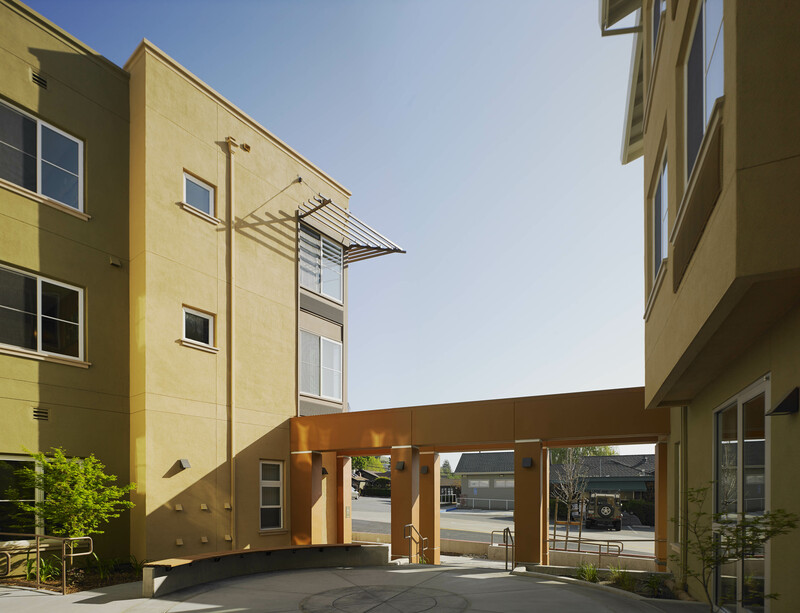 A gracious front porch wraps around the building’s Mt. Diablo frontage and along the eastern side of the building, providing a welcoming residential appearance. Garage parking is located under a podium towards the back of the development. 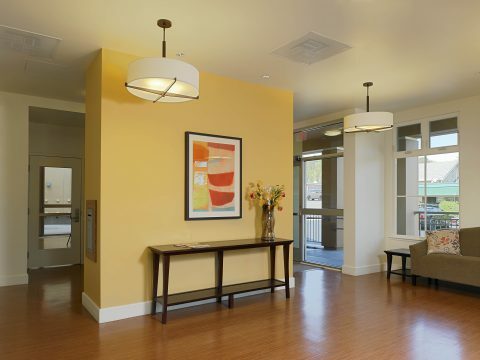 Belle Terre incorporates specifically designed features to address aging in place. The site plan includes an outdoor patio and tenant gardens area, providing comfortable space for group social and recreational interaction. Provide an affordable, supportive environment for elders to live comfortably and receive the assistance they need to age in place in the community. 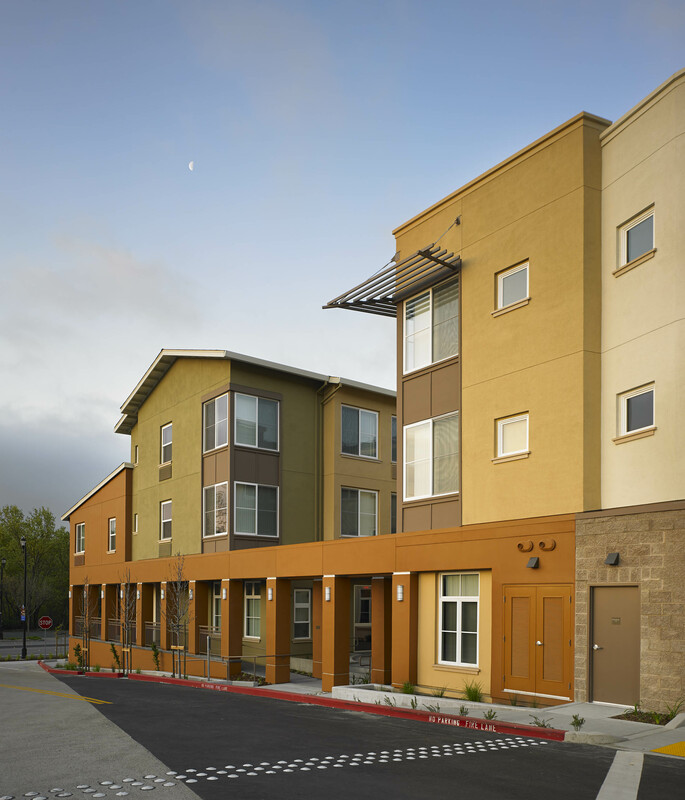 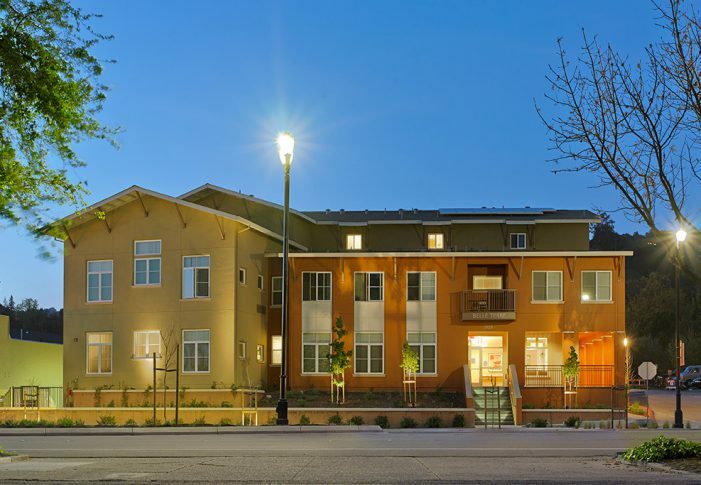 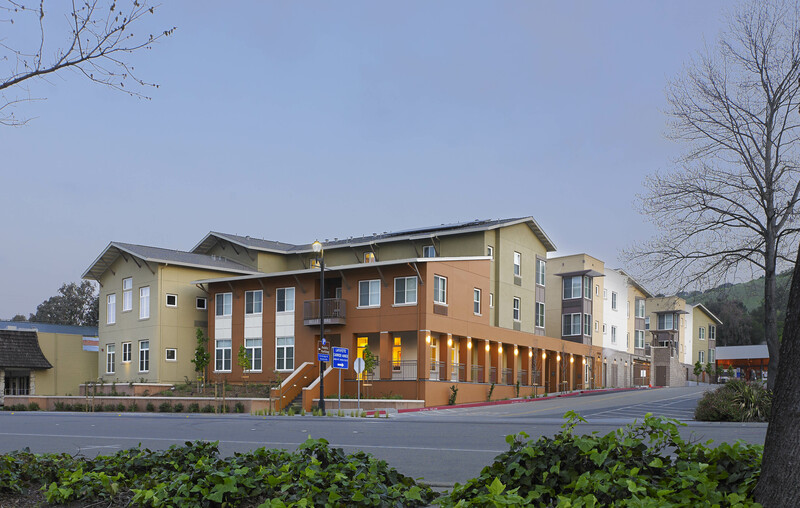 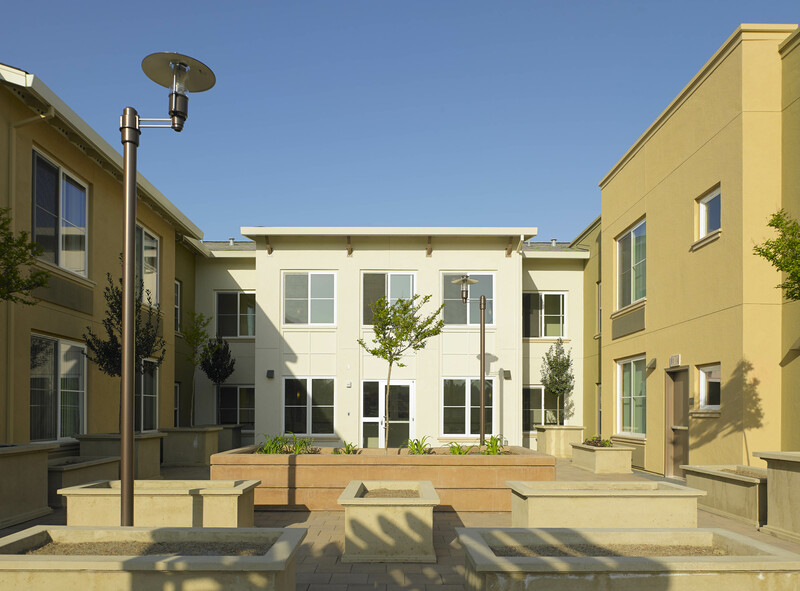 Develop a 46-unit community of affordable senior rental housing.